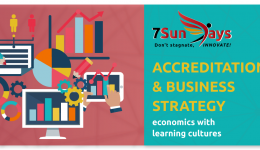 Are you directing an accredited education and training organisation or want to establish a unique brand aligned talent academy? Together we can shape an aggressive competitive growth and development strategy to mine talent. Sign up for power hour sessions. We schedule sessions according to your flow and establish clearly defined outcomes for each conversation. Buckle up because conversations will span economic factors, creative and innovative possibilities and ethics. Leonie’s shrewd questioning techniques will make you think, dispel and re calibrate. A seamless connection between demonstrated passion and consolidated purpose means we can consider strategic moves. Personally, I like aggressive market strategies finely tuned to disrupting competitor segments. Complete the sign up form and Leonie will get right back to you!